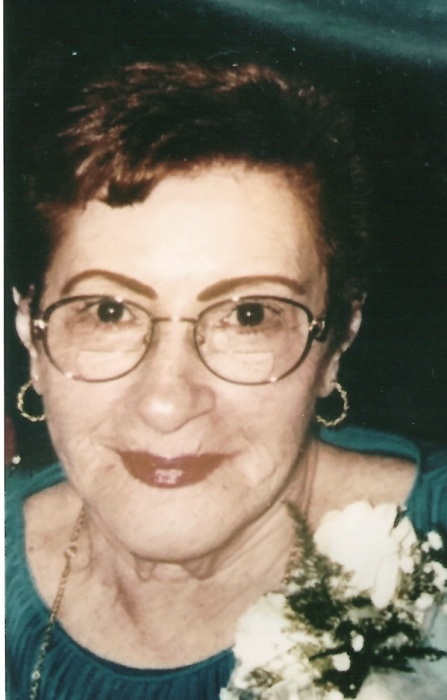 Obituary for Louise M Manenti | Shore Point Funeral Home and Cremation Services, Inc.
Louise M. Manenti, 95, of Imperial, Missouri formerly of Hazlet, New Jersey passed away peacefully on Wednesday, January 30, 2019, surrounded by her loving family. She was born on June 3, 1923 in The Bronx, New York. She is predeceased by her loving husband, Joseph T. Manenti, Sr., her parents, Gelsomina and Gaetano Rauso and all her siblings: Catherine, Johnny, Tony, Flora, Ida and Dora. Louise was a shining example of all that a wife, mother and daughter should be. She sacrificed and worked tirelessly to give her family endless love and support, asking very little in return. Her strong faith in Jesus and His Salvation were present in her daily life. She mastered the tech world and used her iPad and iPhone up until her death. On FaceBook, she connected with old friends and kept in touch with the ever-growing Manenti/Rauso families scattered across the USA. She liked to cook, give medical advice, scratch-offs, and The Yankees. Louise’s family was everything to her. She is survived by her loving children, Mary Ellen Heuser and Charles of Holmdel, New Jersey, Thomas Manenti and Kathy of Wildwood, Missouri, and Joseph Manenti, Jr. and Lori of Imperial, Missouri. She is also survived by her 8 cherished grandchildren, Charlie, Lindsay, Danny, Randy, Joey John, Elena, Brittany, and Joey David and 11 great-grandchildren: Sophia, Katy, Olivia, Charlie IV, Angelina, Molly, Lily, Natalie, Mariana, Norah and Madelyn. They are heartbroken and will miss her greatly. Family and friends are invited to visit on Monday, February 4, 2019 from 4:00 pm to 8:00 pm, and Tuesday morning, February 5, 2019 from 9:45 to 10:30 AM at the Shore Point Funeral Home and Cremation Services, Inc., 3269 State Highway/Route 35 North, Hazlet, New Jersey 07730. A Mass of Christian Burial will be offered on Tuesday morning, February 5, 2019 at 11:00 AM at Holy Family RC Church, 727 Highway 36, Union Beach, New Jersey 07735. Interment will follow at Mount Olivet Cemetery, 100 Chapel Hill Road, Middletown/Red Bank, New Jersey 07701. For information, directions, or to send condolences to the family, please visit, www.shorepointfh.com.